Wheaton College has provided intellectual incubation for many prominent theologians, professors and pastors. Surely one of the most brilliant was Zane Clark Hodges. Born in Washington, DC, but raised primarily in Chambersburg, Pennsylvania, Hodges attended a Plymouth Brethren assembly with his parents and younger brother because there were no Baptist churches in town. Blessed with a sturdy intellect, he completed fifth and sixth grades in one year. During his high school junior year he became editor-in-chief of the student newspaper while participating in the Debating and Latin clubs. Reading widely, he also enjoyed comic books, which he collected, and played baseball. Hodges accepted Christ’s gift of eternal life at a meeting on the Greenwood Hills Bible Conference grounds in 1946. 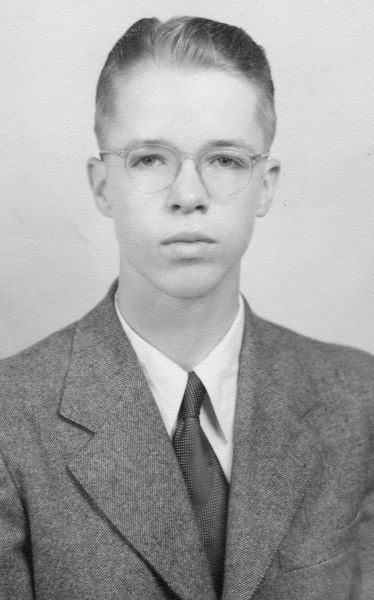 “Since that time,” he writes in his 1949 Wheaton College application, “I not only embrace the Lord Jesus as my Saviour, but also as the Son of God and the one who keeps me and is coming back, perhaps soon.” During this period he desired to enter the mission field as his life’s work. At college Hodges studied Greek, French and German, and further honed his analytical and oratorial skills with the Beltionian Literary society. The administration noted his poised, modest aspect, along with his industry and efficiency. As a result of his academic prowess he was inducted into the Honor Society. He was graduated in 1954, receiving his BA in Greek. Dr. Clarence Hale, Chairman of the Department of Foreign Languages, prophetically observes on Hodges’s placement form: “[He] is a young man of thoroughly reliable character and very high scholarship. He presents a neat appearance and meets people easily. He gives the promise of becoming a well-trained Bible teacher.” From Wheaton Hodges matriculated to Dallas Theological Seminary (DTS) where he acquired his Th.M. before joining its faculty as professor of New Testament Literature and Exegesis, remaining for 27 years until departing to pursue speaking and writing. Hodges produced commentaries on Hebrews, 1-3 John and James, in addition to writing articles for Bibliotheca Sacra, the scholarly journal for DTS. With Arthur Farstad he co-edited The Greek New Testament According to the Majority Text. Hodges’s position on “free grace” generated considerable agitation after Dr. John F. MacArthur, pastor of Grace Community Church in Sun Valley, CA, published The Gospel According to Jesus (1988). MacArthur advocates the traditional Reformed view that biblical salvation inevitably produces works as the result of submitting to Christ’s lordship. The ongoing practice of goods works indicates the presence of the Holy Spirit in the Christian. Conversely, the absence of good works demonstrates a false profession. Two years later Hodges countered MacArthur’s thesis with Absolutely Free!, declaring that Christ’s gift of eternal life is contingent upon nothing beyond believing. According to Hodges, “lordship salvation” unnecessarily distorts the otherwise simple faith message by subtly introducing the contribution of human effort into Christ’s finished atonement. In brief, good works are the evidence, not the result, of salvation. As a founding member of Grace Evangelical Society (GES), Hodges continued promoting the doctrine of free grace through newsletters, conferences and the Journal of the Grace Evangelical Society, for which he occasionally wrote. The organization is currently headed by Dr. Bob Wilkin, whose Master’s and Doctoral dissertations were overseen by Hodges at DTS. Aside from seminary teaching, he preached widely in churches and for nearly 50 years pastored Victor Street Bible Chapel in Dallas. In addition to exegesis, theology and textual criticism, he continued his expansive reading with particular fondness for mysteries, biography, ancient history and science fiction. Hodges had written a few chapters for commentaries on Romans and the Gospel of John before he died at 76 on November 23, 2008. He never married. His funeral was preached by his friend and pastor, Dr. Tony Evans of Oak Cliff Bible Fellowship. Some biographical material is provided by Dr. Bob Wilkin of the Grace Evangelical Society and Dr. John Hannah’s Uncommon Union: Dallas Theological Seminary and American Evangelicalism (2009).